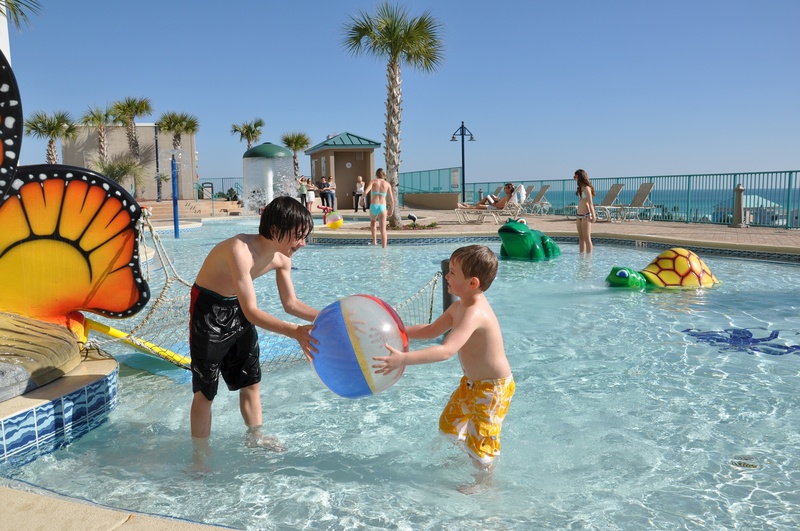 Families Hit The Beach With Spring Deals from Sterling Resorts, Laketown Wharf and Beach Rentals of South Walton. Spring travelers uncover shore savings amid emerald-green waves and dazzling white sand. Enjoy three ways to save on spring getaways, with nightly rates starting from $129 for beachfront retreats on the Gulf of Mexico. Warm sea breezes and dazzling white sand offer an idyllic backdrop to three family-friendly travel deals on Florida’s Gulf Coast. This spring, enjoy a sun-filled escape with savings and packages from Sterling Resorts, Laketown Wharf and Beach Rentals of South Walton. Getaways range from spacious condominiums in Panama City Beach and Destin to secluded hideaways nestled along Scenic 30-A. Travelers here also discover much to see and do. Splash around white-sand beaches and dive into fun, unique activities that range from parasailing and pirate cruises to dolphin swims, airboat rides, go-cart racing and more. Or, retreat amid swaying sea oats and secluded sand dunes; stroll eclectic shops, outdoor cafes and art galleries; shuck oysters at waterfront hideaways and watch the sun set over the Gulf of Mexico. Sterling Resorts offers 20 percent savings on any three-night stay between March 1 - May 18, 2012. Spring rates start at $169 per night for a one-bedroom condominium. Topped off with two free large pizzas and unlimited free DVD rentals, there's no better time to soak up the Florida sunshine at Sterling's family-friendly retreats in Panama City Beach, Destin and along Scenic 30-A. Upscale accommodations ranges from cozy beach cottages to luxury four-bedroom suites overlooking emerald-green waves. Modern amenities include fully equipped kitchens, washer/dryer, high-speed Internet, flat-screen TVs and private balconies. All guests are also treated to one-of-a-kind perks as part of the Sterling Plus program: onsite check-in, Gilchrist & Soames bath amenities, coffee starter kits and exclusive discounts to local dining and eclectic shopping venues, area recreation and family attractions. To book, visit http://www.SterlingResorts.com or call 855-784-2314. Managed by Sterling Resorts, the landmark Laketown Wharf welcomes visitors to Panama City Beach with nightly rates starting at $129 for a one-bedroom condominium featuring a full kitchen, two baths and bunk bed to accommodate up to families of four. For additional space, Laketown offers two- or three-bedroom units at the nightly rates of $149 and $209. Guests also receive two complimentary beverages at the poolside Cabana Bar & Grill. 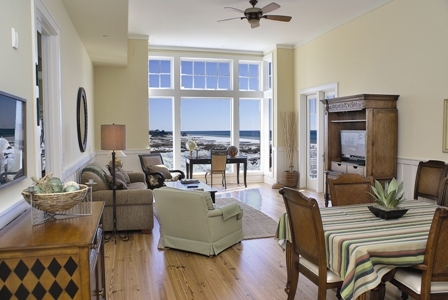 Laketown Wharf’s Spring Special rates are valid for all stays with a two-night minimum, April 6 – May 24, 2012. Located in the heart of PCB just steps from the sand, Laketown’s spacious, one- to three-bedroom units feature full kitchens, flat-screen TVs, complimentary Wi-Fi, washer/dryer and private balconies overlooking the Gulf of Mexico. Five resort pools make a splash with families. Other onsite amenities include the state-of-the-art fitness center and 52,000-square-foot boardwalk surrounding an immense freshwater lake. Visit http://www.LaketownWharf.com or call 1-877-250-7745. Escape the crowds amid the scenic charms and easy pace of Old Florida beach towns. Beach Rentals of South Walton offers spring rates as low as $160 per night for private vacation homes in quaint Scenic 30-A communities - including Santa Rosa Beach, Grayton Beach, Seacrest and more. Guests choose from more than 100 beautiful retreats that range from charming beach cottages to artsy townhouses and luxe four-bedroom residences. Upscale amenities spotlight hardwood floors, vaulted ceilings with skylights, fireplaces and Gulf-front balconies with private hot tubs. 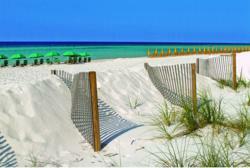 Beach Rentals of South Walton offers home rentals on both a weekly and non-weekly basis with a three-night minimum. For more information on availability or to reserve, call 877-500-4801 or visit http://www.brswvacations.com. Sterling Resorts is one of the Southeast United States’ leading vacation rental management companies. Sterling’s current portfolio includes more than 20 beautiful condominium resorts featuring 1000 units of luxurious vacation homes in Northwest Florida and Mississippi. Sterling Resorts is a division of Encore Enterprises, which is a full service real estate company focused on Hotels; Resorts; Multi-family; and Retail; headquartered in Dallas, Texas. Sterling Resorts offers 20 percent savings, plus two free pizzas and unlimited DVD rentals for a hassle-free family escape. There's room to spare at private hideaways in quaint locales from Beach Rentals of South Walton. Laketown Wharf makes a splash with Spring Savings - and five sparkling pools.